Since becoming a 'twitter junkie' five months ago, I have had the pleasure of meeting a myriad of different people and enjoyed making new friends all over the world. 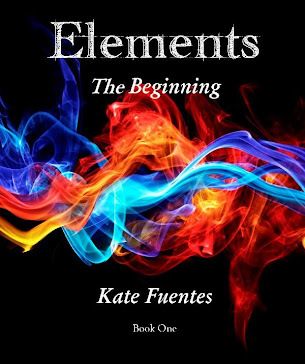 One of the most interesting relationships I have experienced is the common bond I found with YA author Raine Thomas of the Daughters of Saraqael series. She is a genuinely kind person and will go out of her way to help anyone she can. In the short amount of time we have gotten to know one another, Raine has been extremely supportive and offers valuable advice for other authors breaking into the self-pub world. She was gracious enough to answer a few questions as a guest on Sired Scribblings and I am quite grateful she agreed. 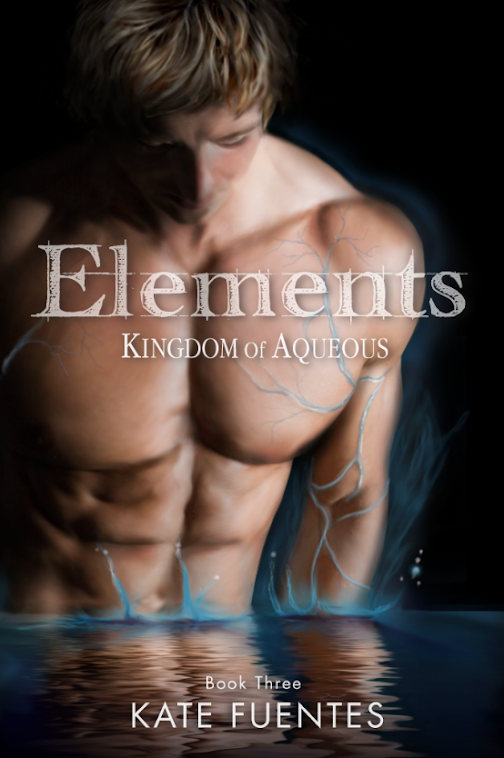 Please welcome Raine Thomas, YA fantasy/romance author. Q: So many times you hear the term 'writer's block' and wonder if this is common for authors to experience. Does this happen to you and what works best for you to overcome it? A: I can’t say that I’ve yet experienced what is classically termed “writer’s block,” where the ideas won’t come and I sit in a stressed-out panic staring at the cursor on the screen. However, I’ve certainly stalled out in a scene and wondered what direction to take it. When that happens, I usually bounce ideas off my husband, who is a great sounding board. Between that and stepping away from the scene for a while to wrap my head around it, I’ve gotten through any hitches. 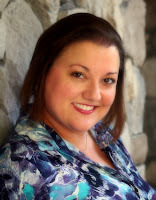 Q: On your blog Write as Raine and on your webpage http://rainethomas.com you mention you have a day job as a wedding coordinator; Does the continual 'wedding bliss romance' inspire you to possibly write a novel or series for a different genre such as Romance or Women's Lit? Do you feel YA literature is where you are more comfortable? 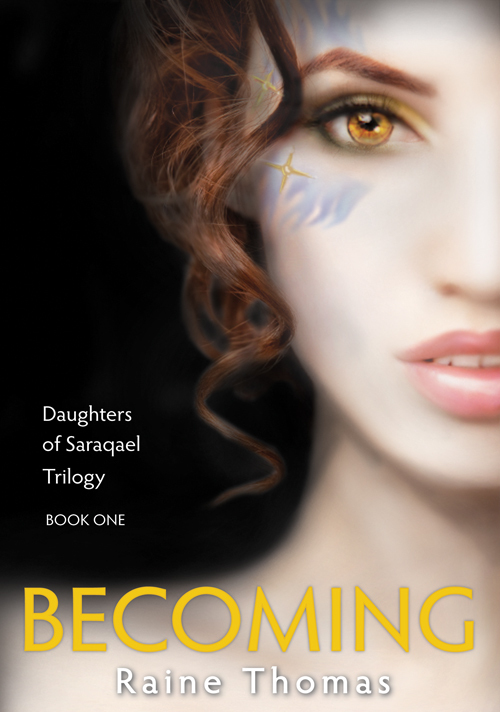 Q: Your Daughters of Saraqael series has been very popular since its release in July, 2011. Do you have any plans to release another series, and if so, when and what will it be about? A: It’s been very exciting to see the response to the Daughters of Saraqael! 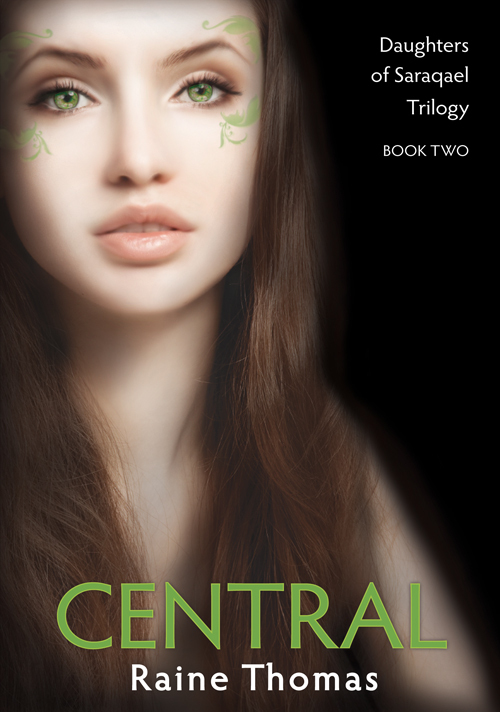 I’m currently at work on a follow-up trilogy (the Firstborn trilogy) and intend to release all three books at once, just like I did with Daughters. The plan right now is to release the books in early-to-mid 2012. In the meantime, I’ve just completed work on my first Estilorian short story, which will be released soon as a free eBook. Hopefully this short story and any others I create in the coming months will give my fans something to hold them over until the Firstborn trilogy is released! Q: Is there somewhere or someplace you go to find clarity or motivation while writing? A: Not really. Most of my writing is done sitting on the love seat in my family room. I do enjoy sitting out on my back porch, which overlooks a pond. The view is quite inspiring! 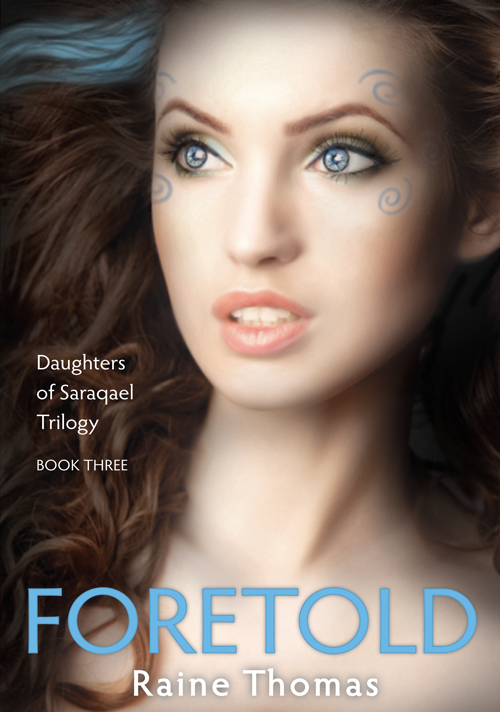 Q: While I was reading your Daughters of Saraqael books, I was intrigued by the uniqueness of the names of both your characters and the groups in the Estilorian plane. How did you come up with the original names? A: Thank you! I deliberately kept the names of the central characters (Amber, Gabriel, Olivia, James, Skye and Caleb) what you could call “normal” and easy enough to read without stumbling over them. Many other characters (such as the title character Saraqael, pronounced “Ser-AH-KAY-el”) share the names of people or angels mentioned in the bible, mythological beings, or I simply made them up. The names of the nine classes of Estilorians were entirely made up by me. I just ran them through my head until they clicked. Q: As a wife and mother, how do you juggle career and family life while still regulating the hours needed to write a popular YA series? A: It’s tough! I work at least 40 hours a week as a wedding planner (often 50 or more) and family time is very important to me. My writing time is usually after 10:30 in the evening (after everyone else is asleep) until I get too tired to stay awake. Weekends often include writing time, as well. It’ll get easier over time when I can ease up on the wedding planning to focus more on writing, so I keep that goal in sight! Q: When I am not writing my own YA book series, I work in an Outreach Department which assists people in need and I noticed you like to give to those in need as well by donating a percentage of your book profits. Can you describe what charities or volunteer organizations are close to your heart and why? A: You serve a great cause, Kate. Yes, I have begun a program called Raine Gives Back. I now donate 5% of all monthly earnings from the sales of my books to a different cause every month, and I’m opting to pursue causes recommended by my readers. Eight years of working with youth in need in the Atlanta area served to make me highly aware of the financial needs of all nonprofit organizations, so I’m hoping the Raine Gives Back program becomes more successful over time. I would love to contribute to a variety of causes! So far, donations have been made to Susan G. Komen Race for the Cure® and HelpHopeLive.org, and I’ve identified St. Jude’s Children’s Research Hospital for my December cause. Q: Hollywood has really jumped on the 'band wagon' to make popular YA books into major motion pictures. Do you see an opportunity for your series to make it to the big screen and is this an option you can see becoming a reality? A: How fun would that be? While I don’t know the first thing about writing screenplays or adapting books into movie format, I think it’s possible the books would transition well onto the big screen. In fact, I’ve had a surprising number of readers say that they would love to see the books made into movies. I suppose only time will tell! 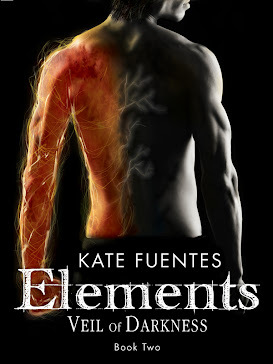 I completely agree with Kate's assessment that Raine is a generous author. She is selfless in her approach to encouraging others to succeed. Kate, excellent, well thought out questions. My compliments. Thank you to everyone who dropped by and enjoyed the interview with Raine! C.S., I appreciate your kind words, thank you.